Sat., June 25, 2016, 4 p.m.
Alexis M. Smith reads from Marrow Island this week at Auntie’s. Courtesy of Houghton Mifflin Harcourt. The story came to her in a vivid dream, shortly after the birth of her son, eight years ago. In the dream, she was flying over an island – Whidbey Island, perhaps – that had been devastated by something. But there was a group of Catholic sisters living on one corner of the island, and their care showed. The were working to heal the land. “Their corner of the island was bright green, and the rest was rust brown,” Alexis Smith said earlier this month in a phone interview from her home in Portland. As soon as she awoke, she knew her dream was a book or a story, so she jotted down the details in a notebook. She was already at work on what would be her debut novel, “Glaciers” (TinHouse, $10.25), so she worked on her island story sporadically, collecting ideas as they came to her. Those notes became “Marrow Island,” released earlier this month from Houghton Mifflin. Smith will be at Auntie’s Bookstore on Thursday for a reading with Spokane author Shawn Vestal. “Marrow Island” envisions slightly different history. In 1993, a devastating, 7.9 earthquake rocked the Seattle area, causing massive damage and killing more than 3,000. Lucie Bowen was living on Orwell Island, in the San Juans, when the quake hit. Her father, who worked at an oil refinery on nearby Marrow Island, was killed when the plant exploded. Lucie and her mother are eventually evacuated to Seattle, and it’s 20 years before Lucie sets foot on Orwell again. She returns to the islands at the request of Katie, her childhood friend who has moved to Marrow and is living in The Colony, which is run by a charismatic former nun. They are working to heal the land on Marrow, and paying a great cost. Her visit this week is a precursor to the fall, when she’ll be around town a lot. She’ll spend fall term as a visiting professor at the Inland Northwest Center for Writers, the graduate writing program at Eastern Washington University. 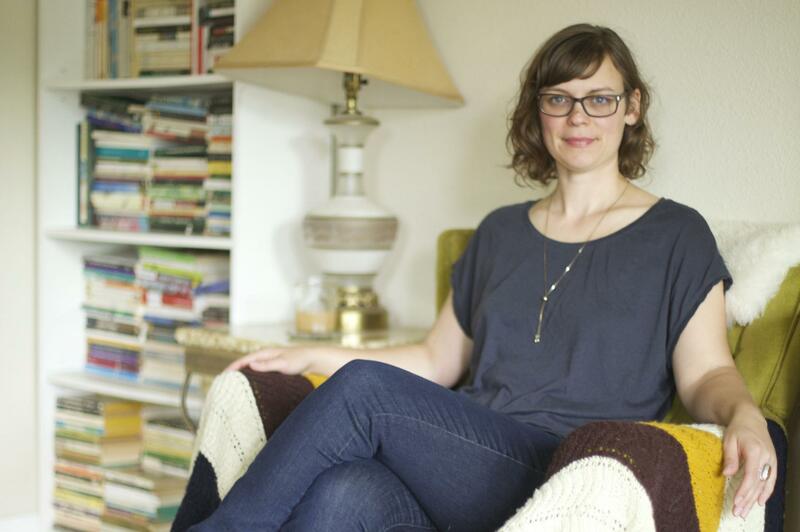 She’s already met a handful of Spokane writers, and she’s looking forward to meeting others. Published: June 25, 2016, 4 p.m.